Today, I’m hitting upon another challenge with the Newbie Blogger Initiative (NBI) and this week’s challenge is: “What’s My Main Again?” It’s another jump-start for cranking out the creative juices where noobie bloggers, like myself, write about the subject of their “main” or the main character they tend to play the most in the World of Warcraft. I run with three main classes and I love to play them all. They are: A warlock (of course! ), a hunter, and a restoration shaman. Due to my raid team’s composition, my healing shaman is seeing all the action when it comes down to actual progression. However, I hope to eventually get through Dragon Soul with both my ‘lock and hunter as well. It might sound strange, but when it comes to my online characters in WoW, I feel like I’m a gloating parent. I adore each of my characters like they are my children, and I love and enjoy them differently in their own individual and unique ways. Since this blog is about warlocks, and because I don’t want to get comments like TL;DR, I’ve decided to focus on my undead warlock, Amijade, because her personality is what helped motivate me in starting to write this blog. If you want to understand more about “Why I Do What I Do” you might want to checkout my last post for the NBI. Keep in mind I’m not that creative, but I’ve tried to come up with a quick synopsis or back story for Amijade’s character you might enjoy. It’s a story and a journey I plan to finish writing some day. 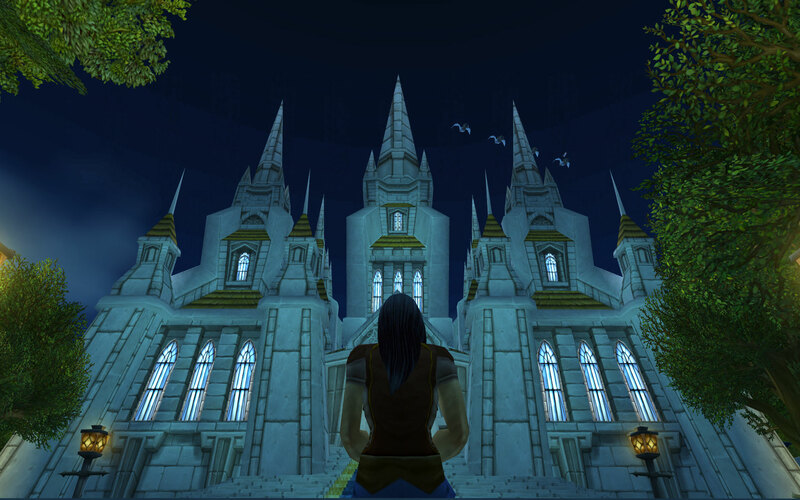 As a teenager, Amijade loved reading in front of the Stormwind Cathedral. 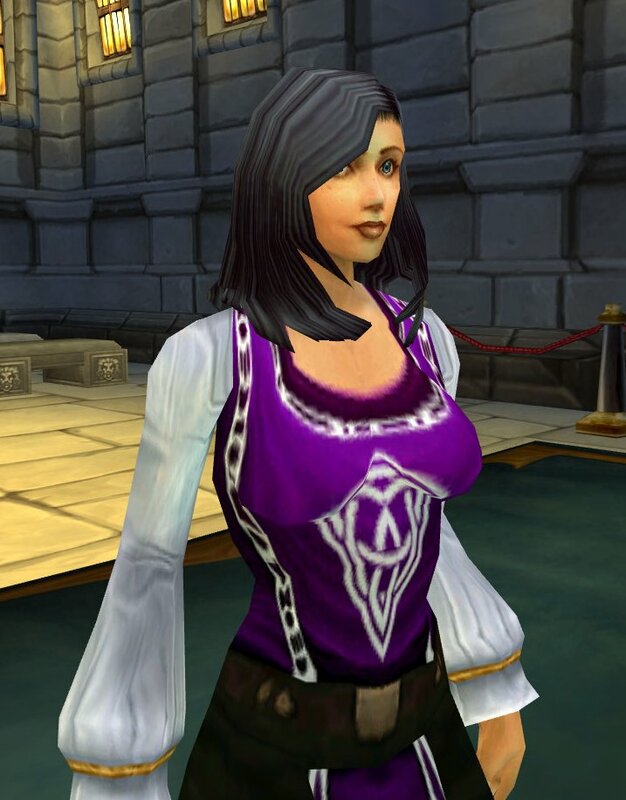 Amijade was born the oldest of twins in the Alliance capital city of Stormwind. Amijade and her younger sister, Morganella, never knew their mother because she died shortly after their childbirth. 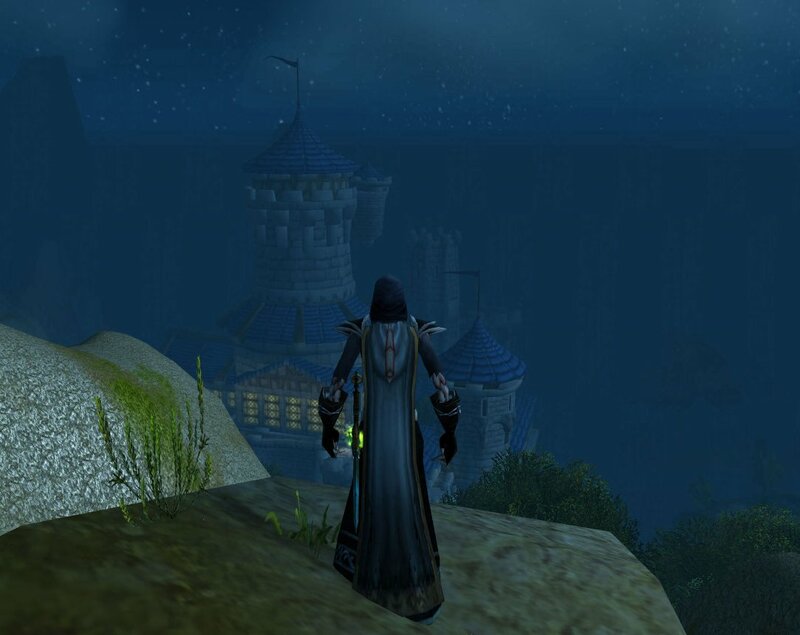 Amijade’s father, Johnathan Ayrole, was a captain in the Stormwind Guard and was often sent away on various assignments. When their father was away his sister, Jalane, helped to raise the girls. Aunt Jalane was a grand master tailor and a warlock who became more of a mother to them than just their Aunt. The family resided in the Northern section of the Mage Quarter, in a modest apartment above the Slaughtered Lamb tavern. With the help of their Aunt Jalane and a close family friend, Spackle Thornberry, (a powerful gnome warlock), the girls soon became aware of their special powers for harnessing and controlling Fel-energy. While growing up, Amijade and Morganella were able to experience living in both the city and in the countryside. During the winter months, their teaching and training took place in Stormwind; during the summer they experienced the more rural way of life traveling with their father. On several family trips they visited remote areas as far west as the province of Westfall, to even some of the more remote peaks found throughout the Red Ridge Mountains. When the girls reached their early twenties their father, Johnathan, was assigned to Tirisfal Glades to help protect the grain farms and mills of the region. It was there in the quiet farming community that Amijade met and fell in love with, Devlin Argamand. The young couple kept their affection for each other hidden, and decided to marry against the wishes of Devlin’s Father who was one of the richest, and most powerful farmers in the area. Planning to secretly marry the morning of the province’s annual Fall Festival, a horrible twist of fate changed everything and what should have been the happiest day of her life, turned out as her worst. Azerothian history would document it as a day of horrors. 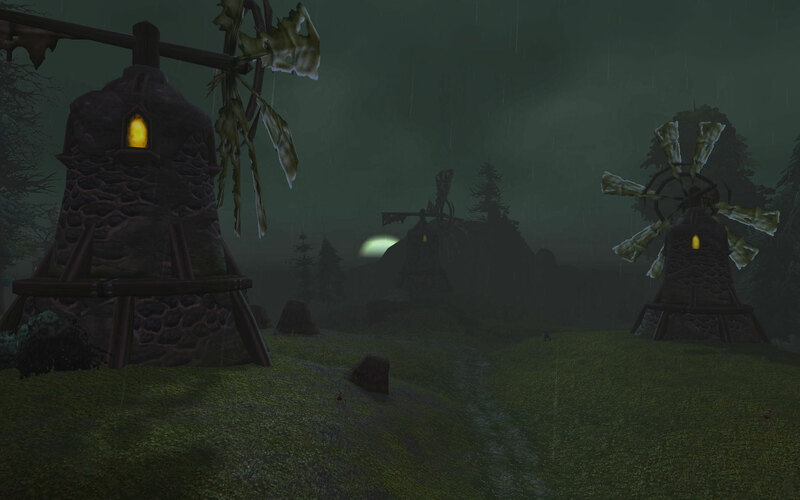 It was the day when the plague of the Scourge fell upon the helpless population and devestated the Kingdom of Lordaeron and the surrounding countryside to ruin. It was the day Amijade, lost her husband, her father and her mortal life. Her father was one of the first victims in the surprise attack that started at the Agamand farms. With all the chaos and confusion that unfolded, Devlin, was falsely blamed for the disaster and soon succomed to the grip of the plague himself. The twins made a desperate attempt to flee the gruesome scene, and in an act of self-sacrifice, Amijade died in order to save her sister. Soon after the fall of the Lich King, a Forsaken patrol discovered her body and carried it to the Death Knell. Under the command of Lady Sylvannas with the power of Val’kyrs she became a new resurrected member of the undead. Amijade still suffers from resurrection sickness and most of her memory concerning her “old” life is but a shadow to her, appearing in flashes and through a veil of fog. Now, as she slowly begins to remember who she was, and realizing what she has now become; she has to come to grips with her new reality in order to find a place in the world with her new life as a Forsaken. Spackle…friend, mentor, and very short. Even for a gnome! “Spackle,” Amijade questioned as tears streamed down from her eyes, “Is it true? Are warlocks evil?” Her chest heaved as if it was about to cave in as the drops flowed from the corners of her eyes to the edges of her mouth. Her bottom lip quivered uncontrollably as she stood there, waiting for an answer. It took all of the power that Spackle could muster to keep from running to the child to reach out, and to hold her, and not let go. As a warlock, he could conjure minions and imps that could wipe out a small platoon of guards, yet his heart had no protection from the human child before him. For himself and for her, Spackle kept his best brave face and beckoned for her to sit. Amijade still sobbed and shook as she sat waiting for him to speak. When he could tell she had calmed down, Spackle gave her a quick, understanding nod and smile. He spun on his heals with a sigh, placed his hands behind his back, and turned from her towards the window. 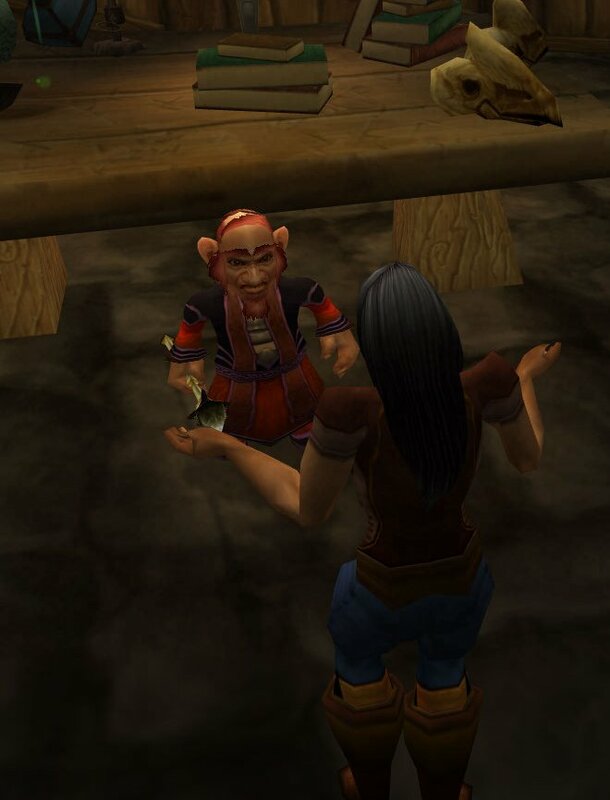 “I’ve always wondered,” he said staring out the window and his voice wavered, “when the day would come when you or your sister might ask that question.” The old gnome pulled himself together trying to regain his countenance and strength searching for words to comfort her. As he cleared his throat and he looked down on the shops below, Spackle’s eyes rested on some workmen repairing a wall near the open archway closest to the Mage Quarter gate. He pointed out the window for her to see. “Come my child…let me show you something” the wizened warlock said softly. As Amijade approached the window and followed his line of sight she could see the repair crew and watched. It was a bright sunny day in Stormwind and the soft breeze that passed by made the few remaining tears on her face feel cold. She reached up trying to wipe a few of the puddles away from her eyes. “Do you see the taller man of the group down there?” he asked turning to her as he reached up and took her hand. Spackle looked down at her larger hand in his own and squeezed lightly trying to break her from her sorrow. She squeezed back on his stout fingers and nodded. “He holds a hammer doesn’t he?” Spackled asked. She nodded as two more tears streaked down from the corner of her eyes, rolling along her cheek and stopped hanging near her chin. Wiping them away, she squeezed his hand again. “My dear child,” Spackle continued, “your gifts…are like that of the stone mason’s hammer.” Amijade’s brow furrowed as she looked at his face and then back to the workman below. “A warlock’s power, ” Spackle said just above a whispered tone, “is merely a tool. In the right hands, it can protect. In the wrong hands, it can destroy.” His tone turned more direct and firm, “A tool is only as good, or as evil as the person who wields it.” From his angle looking up at her, he thought it was uncanny how much she looked like her mother at this moment, and just like her mom, he could see when the lessons he taught were reaching her. Her breathing slowly eased, and the intense sorrow across her face began to fade away. Ahh, great story! I love the thought you put into this; it has all the best elements of a Forsaken story. Awesome post, thank you!